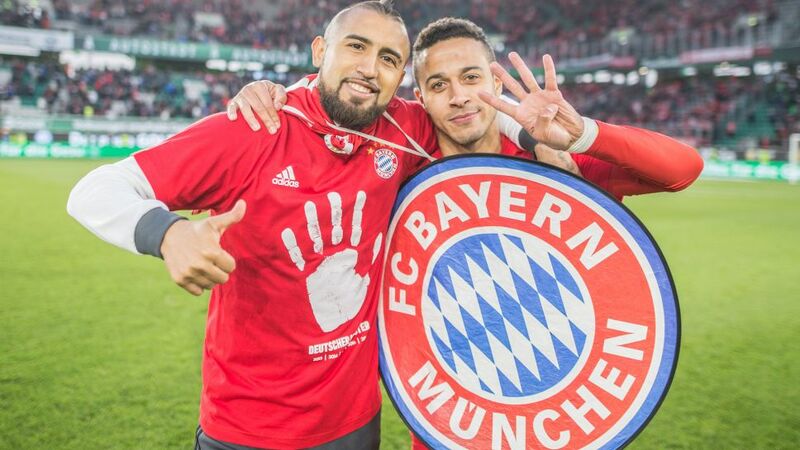 It was in some style that Bayern Munich sealed a fifth Bundesliga title in succession, swatting aside Wolfsburg 6-0 at the Volkswagen Arena. Add some champion talent to your Official Fantasy Bundesliga by clicking right here! Philipp Lahm (Bayern captain): "Becoming champions four Matchdays before the end of the season is no mean feat. Today we scored the goals at the right times. We showed that we can really enjoy our football, which makes things difficult for any opponent. We’ve got the title now, but I want to soak everything up one final time on the last day of the season. That will be an unbelievable day for me. There’ll be a lot of people there who have supported me - friends and family - down the years. I’m going to enjoy every training session of the last three weeks. There have been a lot of highlights: my first Bundesliga title, my full debut in the Bundesliga - for Stuttgart - was also special."